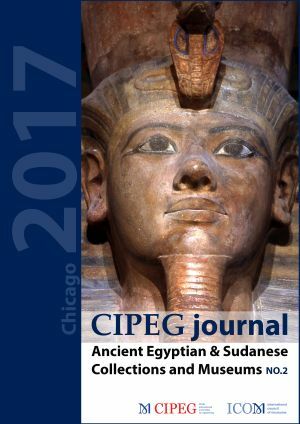 In 2017, CIPEG inaugurated the CIPEG Journal: Ancient Egyptian & Sudanese Collections and Museums, a peer-reviewed online journal to serve as a platform for the dissemination of information regarding the study, preservation, and presentation of such collections, monuments and sites worldwide. This open access journal promotes communication and collaboration among museums, museum professionals and others involved in ancient Egyptian and Sudanese collections around the world. Contributions to the CIPEG Journal comprise papers presented at the previous year’s CIPEG Annual Meeting and its associated workshop, and focus either on the conference theme or on general museum work, collections research, conservation treatments, and exhibition planning, as well as archaeological excavations led by museum teams. Contributions not presented at annual meetings or workshops but related to these same research endeavours are also welcome.